Early in his Cincinnati Reds career, we all had the pleasure of being awed by the baseball miracle that is Joey Votto. And then The Injury happened. You remember it. I remember it. It sucked. In 2012, Joey Votto was on his way to one of the very best seasons in Reds history when he injured his knee. This was a year when he had a very real chance to break the doubles record and to have a 9+ WAR season. I’ve already digressed, but it was necessary because after that we started to learn something about Votto. We already knew he was great and cerebral and all that, but we didn’t know the extent of it until he was faced with this first real physical challenge. How to come back from that injury. Then we saw how his brain really worked. 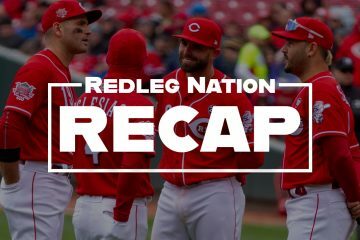 Since then, it seems, Votto comes to spring training every year and has a chat with Eno Sarris and/or Trent Rosecrans and we find out what he’s decided to improve on this year. I decided to take a look at what he’s said in past years and how much he’s actually improved. This one predates the injury, but was first referenced (as far as I can tell) in 2013. Votto already controlled the strike zone, but his desire to swing as infrequently as Joe Mauer took it to another level. Votto went from swinging at pitches outside the zone about 25% of the time to swinging at pitches outside the zone about 21% of the time. That’s a substantial improvement and something he’s improved on as the years have gone by (17.2% last year). This is also the moment when he became historic in terms of OBP. 2014 was the lost year for Joey Votto. Did his swings in the zone decrease? Yeah, a little. And a little for the next couple of years, too. But given the injuries, it’s hard to learn anything from this one. 2015 is when we start to get choking-up Joey Votto. It’s what really feels like the birth of the player we all know now. It was also the year when we learned that the rumors of his demise were greatly exaggerated. 2015, according to FanGraphs, is the best season of his career, so far. It is safe to say he improved all facets of his game. 2016: Joey Votto stops striking out. I can’t find the quote for this one and it’s killing me. But sometime in 2017, Votto told someone that he wanted to hit .340 or .350 and so he did the math and realized he’d have to stop striking out. And then he did. It happened in the middle of 2016 and it was absurdly impressive. In 2017, Votto had the 9th lowest K% in the league and the highest BB%. Unreal. Because of the way it’s presented, people misunderstand defensive value. The metrics most people look at factor in a positional adjustment. The work on how to correctly weight defense at different positions is sketchy, and there’s research available that indicates the current adjustments might very well be wrong. But, at the moment, if you are looking at a first baseman’s defensive metrics, you have to understand that he is being docked 10-13 runs/season. What that means is that a player who, like Votto, generated -5 runs defensive value (FanGraphs) in 2018 was actually 5-8 runs BETTER than the average first baseman. Joey Votto is not a shortstop, but he has typically been a very solid fielder. This was not the case in 2016 and it was remarked upon. And you know what? He fixed it. We’ve got two seasons of data now showing him as above average at first. He’s not shortstop, but he’s not an embarrassment either. 2018 was weird. All the peripheral numbers say Votto should have had better results than he did. Randomness is real in baseball and most everyone gets hit with it eventually. But Votto isn’t chalking anything up to randomness. Instead, he’s been hitting all winter for the first time ever. He’s making mechanical adjustments. All with the idea that he wants to get back to 2017, when he nearly tied Stanton for the MVP and finished one homer short of his career high. And he thinks he can do it. What everything above tells you is that when Votto decides to get better at something, he does. There isn’t a single instance I can find of him failing to improve on whatever area he’d targeted. Age will get him eventually, but not yet, I don’t think. In fact, we may still have another MVP year coming our way from the greatest hitter in Reds history. Joey Votto is a gifted athlete. At the highest level, facing the most difficult task in sport – round bat meet round ball at 90+ mph – he has the vision and the hand-eye coordination to excel. But while that gift is necessary for greatness, it is not sufficient. I’m convinced that Joey Votto is more self aware when it comes to understanding his abilities and his limitations as a hitter than all but a very few great players. Rod Carew and Wade Boggs and Ted Williams come to mind. This is rare for a hitter with power. And then combine that with an unusual work ethic – ask Jim Day who works hardest and longest and I’ll be surprised if in any year since 2010 the answer is anyone other than Votto. And those three factors combine to yield a great, dare I say, elite, hitter. Athleticism + insight and intelligence + hard work = Hall of Fame. I’m sure there are fans in California who think this of Mike Trout, in Washington of King Felix, maybe in D.C. of Max Scherzer. But we are lucky to follow one of the best players of the modern game. I’ve loved watching Votto never give away an at bat, day after day, year after year. We have access to Reds games that simply wasn’t possible when Bench and Rose and Larkin and Davis played the game so well. And I’m looking forward to another season, hopefully a few more, of Joey Votto must see TV. I can’t wait. Thanks for the article. Watching him tells me it is never too late to learn, to improve. Big fan. I hope you’re right, but Votto has been failing the eye test for over a year now. He swings defensively far too often, even when he’s ahead in the count, he’s uh, well, not good running the bases and I don’t know anything about defensive metrics, but I don’t know how anyone can actually watch, say, 100 Reds games and conclude that he’s anything more than an average to slightly below average defensive player. Now all of that is one guys opinion, and I’m sure others will disagree. And I’d LOVE to be wrong, but I’ve watched pretty intently to his spring AB’s and I can’t see a nickels worth of difference from his 2018 AB’s. Doesn’t mean that I think Votto is no longer a valuable player. He is. I just happen to think that the ONLY thing he’s going to continue to be elite at is working a walk. Votto simply can’t continue to play 162 games a year. I don’t even know if this is on DB’s radar and I don’t think I’ve seen it this spring at all, but I’d love to Suarez slide over to 1B every now and then with Senzel taking 3rd. But who knows, the Reds look to have the best bench they’ve had in a long, long time. I hope they use it to get Votto more time off than he’s been getting. I’m not sure what you think you are seeing. There’s this myth that every pitch in the strike zone is a good pitch to hit. That’s not how hitting works. Defensive metrics have significant error bars. But when I hear the words “eye test,” I tend to shut down. The idea that anyone can measure what they see during a game-after-game and process that information in any meaningful way is just another way to practice the confirmation bias that already exists in the mind. My favorite player is Tony Perez. I used to believe he was “clutch” because that’s what everyone said and I sure saw him hit in the clutch many, many times. But a quick look at Baseball Reference tells another story. My eye test wasn’t 20-20. As for judging Votto’s progress by what is going on in Spring Training–eh, don’t. Just don’t. Take away the injury-plagued seasons of 2012 and 2014 and Votto has been averaging 157 games played since 2009. To say he can’t continue to play something approaching a full season tells me you haven’t been watching Votto closely enough. Joey Votto’s brilliance is as everyday as the sun. You can shut it down all ya want. It’s a free country. I’ve loved watching Votto play for the last decade as much as any Reds fan. I’m just not as emotional about it as others. If you can’t see the real regression in his game — as opposed to the imaginary regression we’re constantly warned about for others — then I don’t know what to say. Votto himself says last year was shocking and embarrassing. His OPS fell by a full 200 points, more or less. His power all but disappeared. That’s real, measurable regression. He’s not a good base runner and I don’t think he’s a very good fielder at all and I didn’t think it was controversial to say that. I don’t know anything at all about defensive metrics, but don’t they tend to back me up on that? He’s still a very, very good player with elite ability to draw a walk. I wouldn’t bet against him leading the league in OBP yet again. But in every other metric, skill, whatever he’s not the player he was. But he’s 35 years old now and that’s normal and to be expected. That’s all I was saying. I’ll say it again just so it’s clear. I’d LOVE to be all wrong. Like everyone else on here, I’ve suffered through 5 years of awful baseball. It’s borderline criminal that the Reds have wasted Votto’s best years in a long, long rebuild. And if I do end up being wrong, feel free to call me out cause I’ll own it. I just don’t think I’m going to be. One more thing Richard. Votto himself said a couple of days ago that as he gets older, he’s learned that he’ll need to get more rest during the season. I admire his honesty about his game as it evolves I agree with that. I would say 140-145 games sounds about right. Certainly don’t want to confuse you with the facts since your mind is made up. 1. Brilliant at digging errant throws out of the dirt….his best defensive trait. 2. A block for his entire career going to his right, trying to make a hero play, when it is a routine grounder for the 2nd baseman. 3. Tries to make the hero ole’ swipe on hard hit balls, which usually he ends up falling to the ground weather he catches it or not. 4. Very good at the underhand feed to the pitcher covering 1st. Average or below when he has to throw overhand (submarine). 5. I’d like to see him apply more tag attempts on pickoffs. He has an unorthodoxed way of holding runners on, so there is hardly ever a tag applied. I’ve notice #5 too? Don’t quite understand that at all. Not sure anyone’s ever asked him. Maybe his eye for ‘what’s possible’ translates to tag attempts too. 3 – Mostly agree. Not sure if it’s a hero ole’ swipe or just an ole’ swipe. I don’t think he likes to get in front of the ball, especially when it’s smashed. I’ve seen him actually step away from it and reach with his glove. I don’t blame him and honestly, I don’t want Votto missing time with an injury from a batted ball. 4 – His throws in general are poor. Surprising for a former catcher. He does feed the pitcher well. Part of the reason for poor throws is as a RH thrower. 5 – I’ve noticed this too but I’m seeing more 1B hold on runners the same way. I agree that my eye test doesn’t have me thinking of Votto’s greatness with the glove, but the numbers say he is a whole lot better than we often think. Defensive metrics: Over the last two seasons Fangraphs metrics rated him the best fielding first baseman in the National League (and 3rd best in baseball). He also won a Gold Glove once and been a finalist other times. I see parallels in some ways to Rickey Henderson. The old guard saw Rickey as the greatest leadoff hitter of all time because he was fast and stole bases. Yay. But actually, he was a HOFer because he got on base at HOF rates (with longevity, premium position, moxy, etc). Votto hits HRs, and is treated like a slugger 1B by the old guard (Marty), but that’s not actually what makes him an HOFer. He’s misunderstood like Rickey, and perhaps ahead of his time by 15 years. After coming off a brilliant 2017, Votto was un-Votto-like in 2018. He changed his approach by just settling to flick a potential opposite field single instead of driving the ball like the previous year. He was trying to hit inside pitches the other way. Pitchers caught on to this and pitched him inside early and often. Later in the season, he started pulling those inside pitches with some success. He can’t wait until June to start hitting again this year. I will believe he put last year behind him when he stops the crazy amount of check swings that’s popped up over the last year, and commits to pulling the ball with power. I know it’s only Spring Training, but we are still seeing plenty of feeble check swings like last year. He’s not fouling those pitches off like he used to 3-4 years ago. From previous statements he’s made, I don’t think you will ever see him trying to pull the ball over the fence. Also, stats showed that he hit the ball harder in 2018 than in the past…just not with the right exit angle to get over the fence. My eye test did seem to suggest though that his pop-up home runs to left fell short last year, perhaps indicating a power drop in that regard. Last night’s game happened to be on at a local restaurant, and I finally got a chance to see Joey bat this spring training. He smashed one to the right that looked like a sure hit. 2B was in just the right spot and actually dove to catch the ball in the air. A few inches to the left, and it would have been a hit. Something tells me that Joey is seeing the ball well, but those hits just aren’t dropping right now. Hopefully it works itself out before Opening Day. The NLC is deep. A rough start for the team almost certainly means 5-7 games out by May. When Joey is on his game he seems to pick up his teammates and the wins start rolling. Joey Votto the greatest hitter in Reds history! Come on, give me a break. Pete Rose is not only the greatest hitter in Reds history, but MLB history. Votto has absolutely zero chance to surpass Pete. I’m in the mood to tilt at windmills, I guess, since I’m responding to this. Rose has the most hits in MLB history. He also has the most ABs and PAs. He does not have anywhere near the highest BA (Votto, among many others, is higher), OBP, SLG, or OPS. He was an excellent hitter for a long time and mediocre/poor hitter as he held on to break a record. At no point was he ever the best hitter in Reds or MLB history. 200-hit seasons for Votto to date? Zero. 1. Rose played SEVEN years after that season and generally hit like a SS who could only play first base. 2. 200-hit seasons are a weird measure. Guys with power rarely have 200 hit seasons (Ruth, in a very amped up offensive era, only had 3). 3. Most people, when they talk about the best hitters are talking about the best offensive players. Some people are talking about batting average (a serious minority). If you really want to push it to the extreme and limit yourself to “player with the most hits.” Then yes, Rose is the best “hitter” ever. Votto is a better offensive player. So were Robinson and Morgan and Perez, if we’re limiting ourselves only to Reds. IMO, the only “tilting at windmills” is the author combining a bias towards Votto that inhibits reasonable debate, and not having a feel for all that Rose accomplished as a player. Pete wasn’t the best offensive player on most of the Reds teams that he played on (young Bench and multiple MVP Morgan were better in those years, for sure). Joey Votto has averaged wRC+ of 155. Pete Rose never had a single season that high. Generally-speaking, it is those who complain the most about bias who are themselves the most biased, because they can’t imagine any scenario where someone could legitimately disagree with them (i.e. that they are wrong), and so the only explanation must be bias. Your definition of reasonable debate is also exceptionally curious. All of Jason’s posts have been rational and coherent. They are fact-based and there has been no name-calling. In what way is he not being reasonable? Or does “not agreeing with you” constitute “not debating reasonably” in your mind? If so, then basically anyone who remains unconvinced by your arguments would then, in your view, be unreasonable; that’s a pretty perilous position to adhere to. Votto has been a very good hitter no doubt. But give me one Frank Robinson or one Joe Morgan any day of the week and twice on tuesdays. Try this for a imaginative computer simulation game. Match a team with 8 Pete Rose’s playing against a team with 8 Votto’s. Play 7 games. Pitchers on BOTH teams are EQUAL in every way. Which team wins best of seven? Rose wins because of his team’s defense in speed and PASSION to win at all cost. Rose team gets more hits and stolen bases. Ask yourself: which player DESERVES the more salary? Again Rose. End of debate. Go Pete ! Bill James actually did a really cool study recently where he pitted two teams, one composed of the sorts of Pete Rose-type players you’re talking about, the other with high OBP, low-strikeout guys like Votto (although neither of them were actually on either team, I don’t believe). The latter team came out superior. Pete Rose was an amazing player and, with MLB’s insane decision to partner with casinos and gambling organizations, probably should be reinstated. But a team of players like Votto is going to be the superior team because they just keep getting on base, and eventually, the pitchers run out of places to put them. 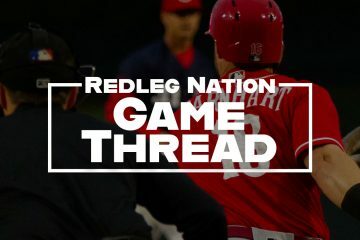 Joey Votto has tons of passion, btw; he wouldn’t bother with the constant self-improvement detailed in this article if he didn’t. Interesting premise. I don’t think the computer simulation would account for grit (or greenies) on Pete’s side. But the Vottos would walk and slam their days away. Imagine innings with no end. That’s what it would be like to play 8 Vottos down a line-up. My theory on Votto is he his an educated-guess hitter. He’s great at this because he studies the other pitchers so well, but his guessing creates some ugly at bats where he’ll take a pitch he doesn’t expect right down the middle or he’ll try some ugly swing to foul it off. When he guesses right he rarely misses his pitch and he’ll probably remain the greek god of walks for at least a few more years. If his power doesn’t return this year he should a 2 hole hitter and no longer the main offense force on this team.